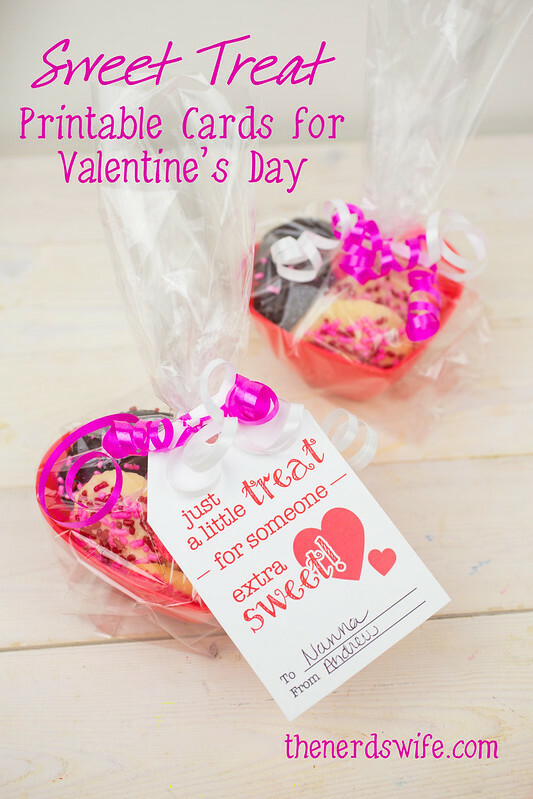 This Sweet Treat Valentine Printable is perfect if you’re looking for a quick and easy way to show the love this Valentine’s Day. 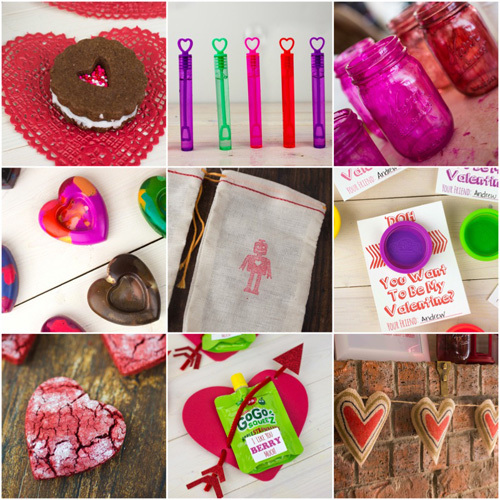 And for the best store-bought goodies, look no further than Market Street. 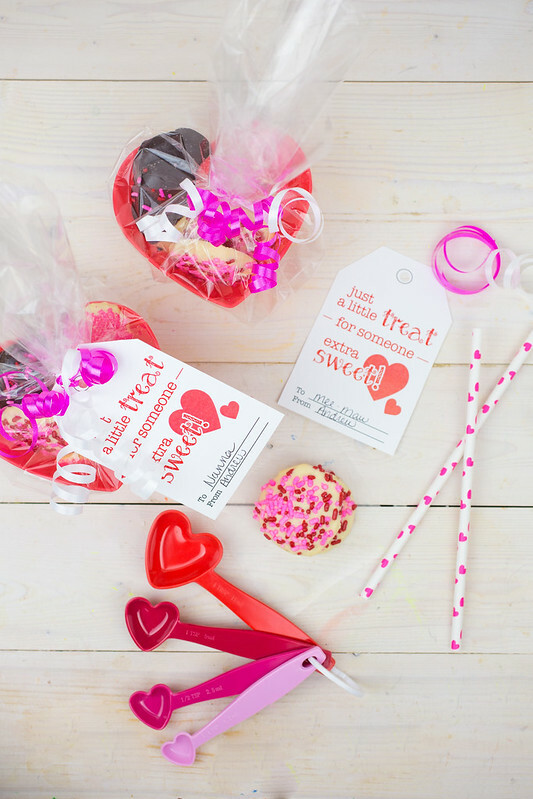 From chocolate-covered strawberries to dinner for two, there are tons of ways to Spoil Your Special Someone for Valentine’s Day at Market Street. 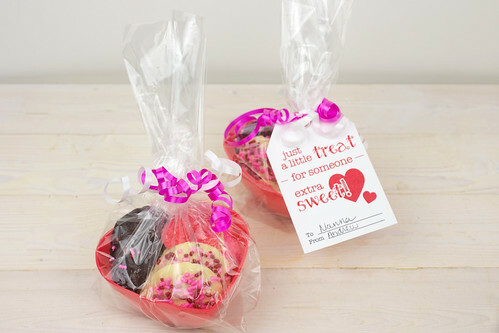 We love the butter cookies from the bakery — that’s what I attached to these cute Sweet Treat Valentine Printable cards. With Market Street premium strawberries, you can select your favorite toppings or color to match any occasion. Order custom strawberries at the bakery or online. Customize your own heart-shaped Sweetheart cake with something special just for your Valentine. 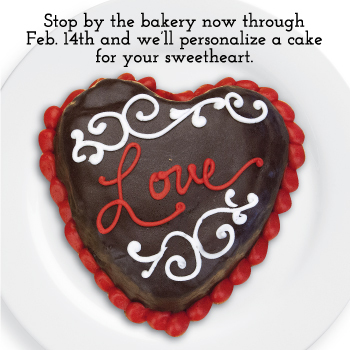 Sweetheart cakes are available in the bakery or online. Plan a romantic Valentine’s Day dinner for two with special Meals for 2 Valentine’s menu and enjoy a gourmet dining experience at home. Meals include herb crusted prime rib with caramelized onions and oven roasted tomatoes, garlic roasted asparagus, steakhouse potato bakes, hot spinach artichoke dip with crostini, and chocolate mousse cake. 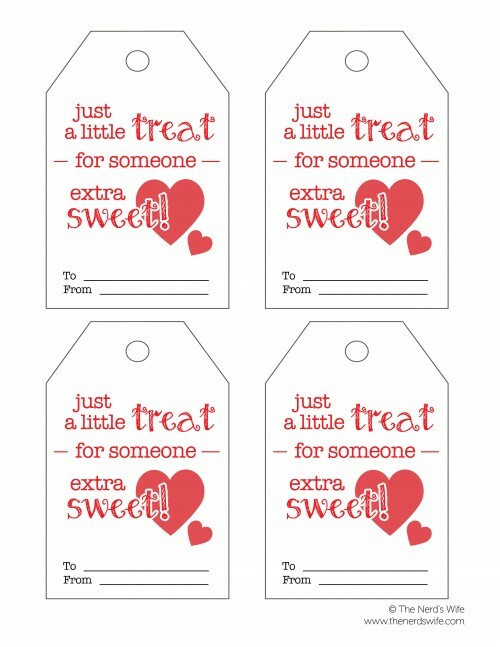 Click here to download these printable gift tags.